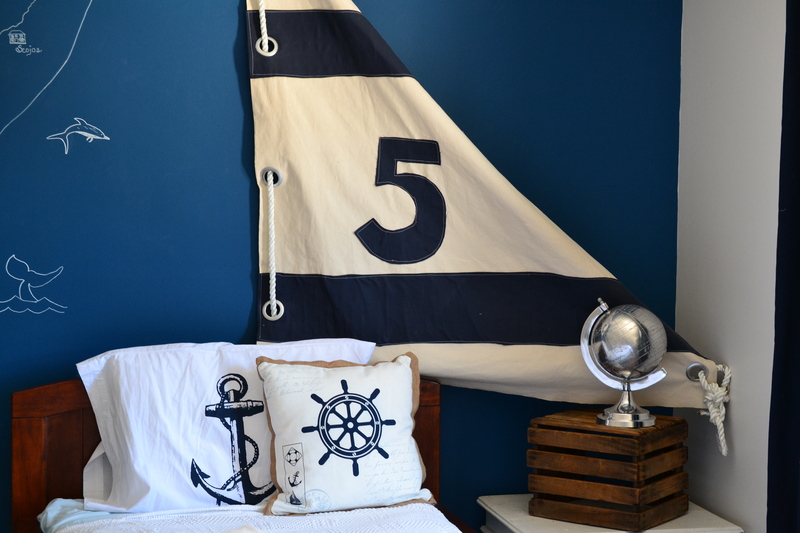 To bring a piece of the shore back home with us, we decided to create a nautical boys room for our preschooler. 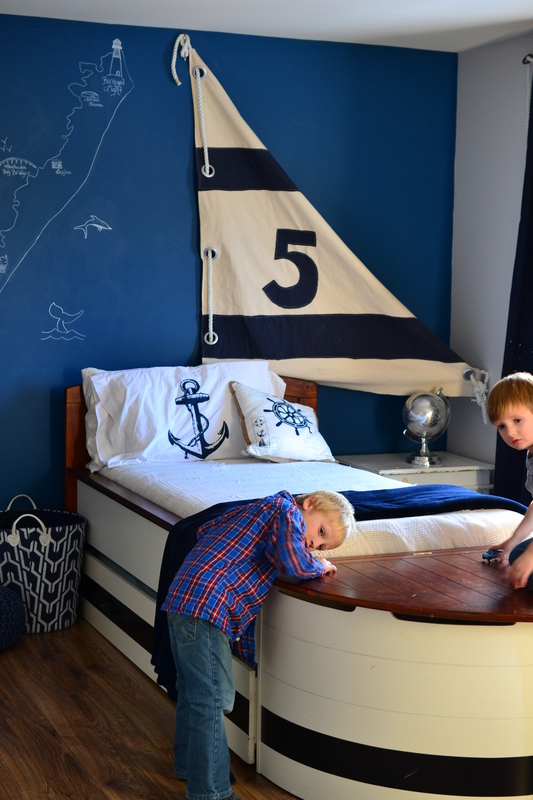 Although it doesn’t stop the littles from asking to go down the shore, it does bring a little bit of “by the sea” life into our suburban home and gives us a comfy little boys room to tuck the little ones into each night. 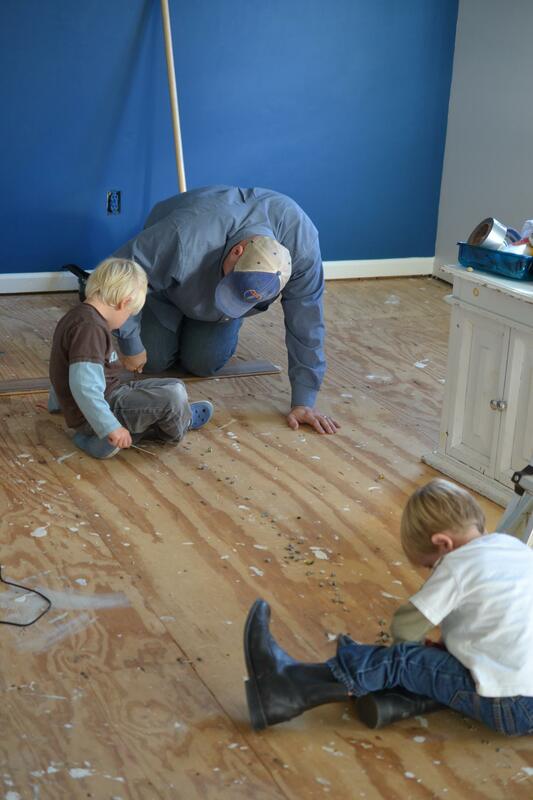 The boys removing all the staples after carpet was pulled up (My 3 -year-old is wearing my paddock boats;-). I created a sail with our preschoolers age on it ( I hope he won’t want a 6 next year). I used rope and boat cleats to attached it to the wall. We found this great bed with a trundle on Craigslist. The flooring is made to look like weathered wood. 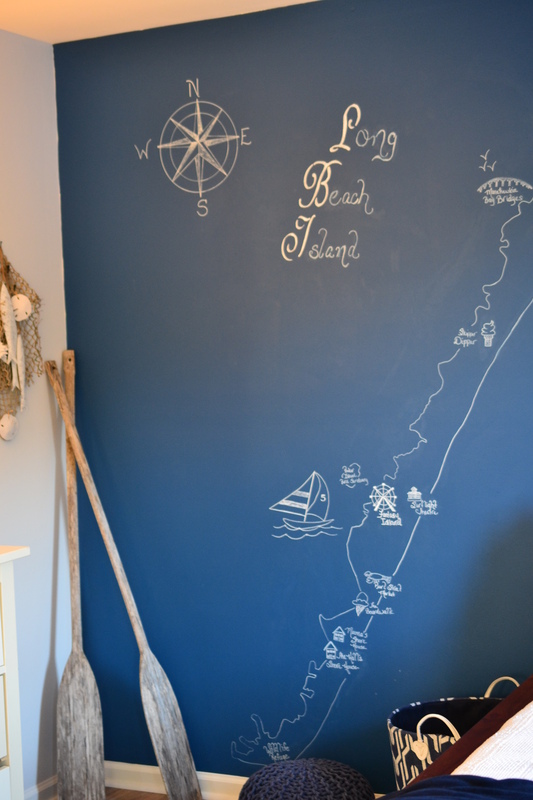 I created a blueprint mural of the island where we vacation. 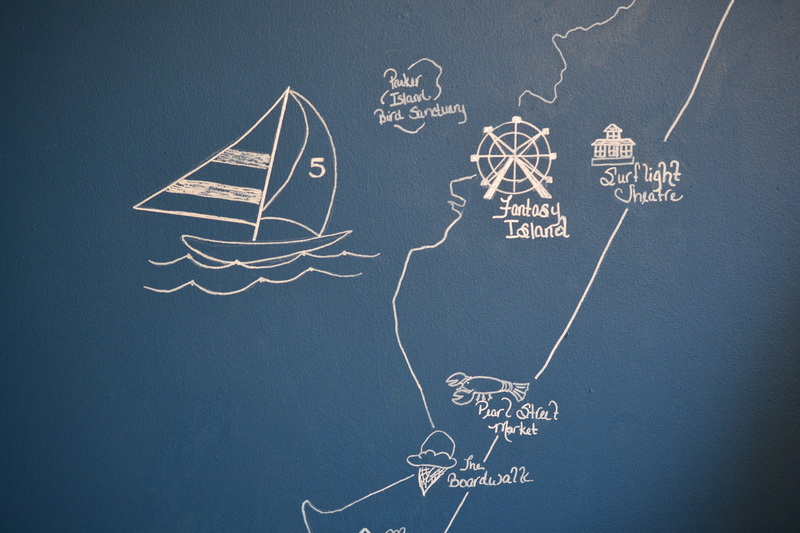 I drew all of our favorite places on the wall and plan to add more favorites through the years. 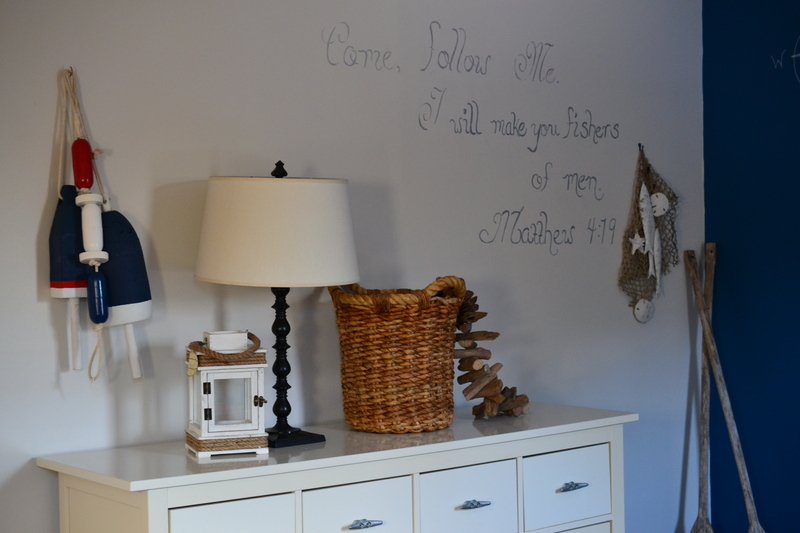 Our boys’ rooms would not be complete without a biblical verse. 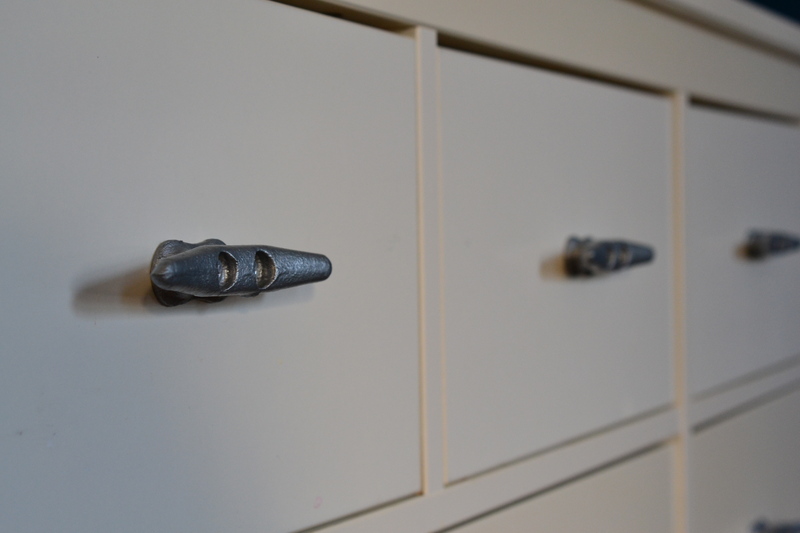 Our IKEA dresser is made new again with boat cleats for pulls. Contemplative, God-centered, horse lovin' mom of two energetic boys. Check out all of my domestic adventures as my husband and I attempt to keep our sanity during our historic farmhouse renovations. https://horselvinmom.wordpress.com/ Come for the inspiration and grab a recipe or two! Who is liking this stuff? can a modern day family on one income really live/eat sustainably?